Let’s be clear: the 2018-19 season will forever be remembered as Dwyane Wade’s “One Last Dance”. That really can’t be argued. From standing ovations and jersey swaps to clutch plays and dazzling performances, we experienced the best Wade had to offer in his 16th and final campaign. 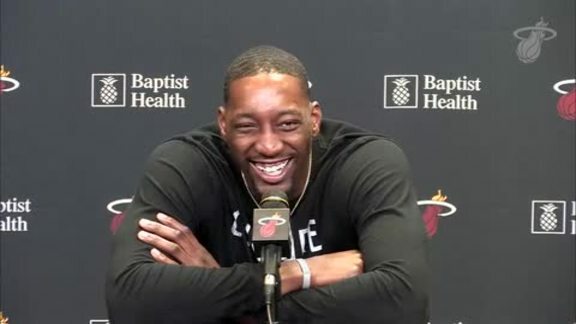 And while Wade’s 30-point outing in his final home game and triple-double the next night against Brooklyn will be etched in our minds forever, the season was also about the development of Josh Richardson, Justise Winslow, Derrick Jones Jr. and Bam Adebayo. Among “The Kids”, J. Rich was the first to make his presence felt in some clutch moments against the Pistons, Bulls and Pelicans throughout the month of November. Despite Richardson’s emergence during the first month and a half of the season, Miami struggled more often than not and entered an important West Coast road trip at 9-14. That’s when Winslow, Adebayo and Jones Jr. made their mark. 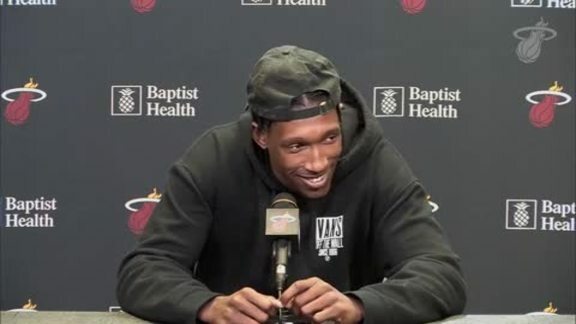 With Goran Dragić battling a right knee injury, Winslow thrived as the HEAT’s point guard and recorded what was then a career-high nine assists against the Clippers on Dec. 8. 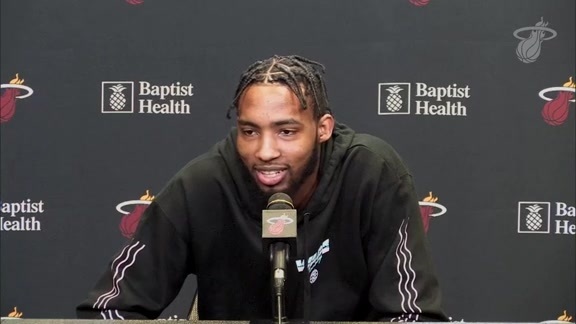 In addition to organizing the team, Winslow also started to connect more from deep. Two nights after leading Miami to victory over the Clippers, the former Duke Blue Devil scored a career-high 28 points and tallied a career-high six made triples against the Lakers. For the season, Winslow shot 37.5 percent on 256 attempts from beyond the arc. Speaking of getting better, Jones Jr. also did his thing on the road trip, as he flourished in the HEAT’s zone scheme and gave the team a multitude of second-chance opportunities due to his impeccable timing with offensive rebounds. Naturally, rim-rocking dunks were also part of the equation. Fueled by its strong road trip (which also included a career night from Adebayo in Phoenix, some clutch shooting from Wade and consistent scoring from Richardson), Miami returned home and continued its winning ways. 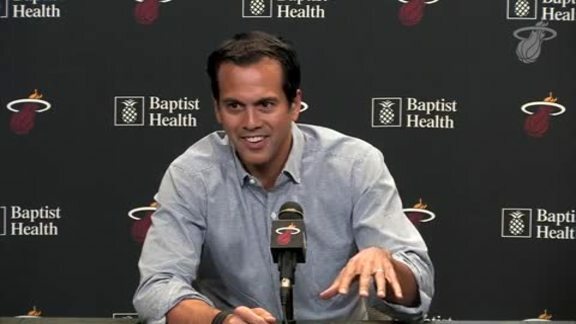 In fact, the HEAT rattled off a season-high five-game winning streak from Dec. 14 through Dec. 23. And while everybody contributed during the run, James Johnson and Richardson teamed up for the most electric play of the flurry on Dec. 22. From there, Miami took care of business against some lowly teams in Cleveland and Washington (Dion Waiters made his return on Jan. 2 versus the Cavs) before blowing out Boston on Jan. 10 and dropping some tough ones later on to hover around .500 for most of the month. Then, just before the All-Star Break, the HEAT embarked on another lengthy West Coast swing. After Hassan Whiteside set the tone with a commanding 28-point, 11-rebound effort in a 118-108 victory over Portland on Feb. 5, Miami showed moxie in a narrow loss to the defending champs five nights later in Oakland. The HEAT had five guys score in double-figures at Oracle Arena, including Richardson who poured in a career-high 37 points and nailed a career-high eight treys. Shortly thereafter, Wade flew out to Charlotte for “One Last All-Star Weekend” and came back to the team even more ready to rock. Then again, nothing could prepare anyone for what was to come in another close game with the Warriors on Feb. 27. That game winner inspired Miami, as the team won 11 of its next 16 to get to .500 at 38-38. And even some losses had cool moments. 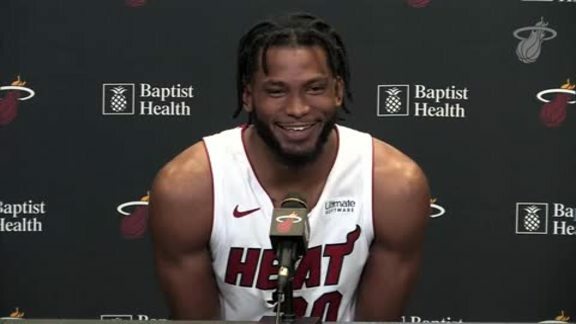 Although Kelly Olynyk shot the lights out during this period and JJ came through in the clutch in important wins over Charlotte, OKC and Dallas, the one-two punch of Adebayo and Whiteside proved to be an integral part of the HEAT’s success. Adebayo blossomed as a starter and built on all the things that made him stand out as a rookie. In addition to wreaking havoc in the zone and rolling to the rim with force as usual, Adebayo also expanded his range and set up his teammates very well. Whiteside, meanwhile, provided a major spark off the bench by crashing the offensive glass and defending at an elite level (he held the opposition to just 43.2 percent shooting on the year). Naturally, Goran Dragić was also a factor in the HEAT’s torrid stretch, but nothing tops his game against Luka Dončić and the Mavericks on March 28. In front of approximately 2,000 rabid Slovenian fans at AmericanAirlines Arena, the Dragon recorded his second career triple-double with 23 points, 12 rebounds and 11 assists. 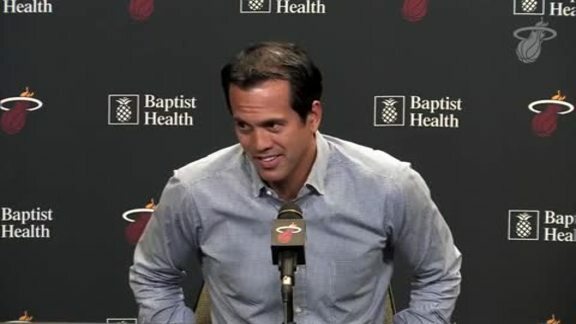 Things slowed down for Miami after that point, but Waiters kept the offense afloat with timely threes (he shot 40.4 percent on 7.4 attempts per contest from distance during the last 21 games of the season), while Wade made sure the end of his last dance would be memorable.